German striker Collin Quaner marked his Huddersfield debut with a goal as the Terriers cruised past Rochdale to book their place in the FA Cup fifth round at Spotland. Quaner, signed from Union Berlin last week, knocked home an Izzy Brown cross five minutes from the break before a Brown penalty and two late strikes from substitute Michael Hefele wrapped up victory. League One Rochdale must have fancied their chances of reaching the fifth round for the first time since 2003 but were left to rue two superb first half chances to grab the lead. Ultimately David Wagner's men proved just too strong with a polished second half display highlighted by Quamer, whose swift counter-attack set up the fourth and final goal for Hefele. Wagner made eight changes from his side's previous Championship game against Ipswich, while Rochdale's own alterations were required due to a lengthening injury list. It worsened after just eight minutes when striker Calvin Andrew was forced off with concussion, leaving home boss Keith Hill to throw on substitute Mark Kitching earlier than planned. Nevertheless the home side enjoyed the better of the spirited early changes, and Peter Vincenti should have done better with a close-range header after Reuben Noble Lazarus flicked a Jamie Allen corner back across the face of goal. Just past the half-hour mark, Hudson almost made a calamitous mistake when his mis-placed back-pass let in Ian Henderson, who rounded advancing Terriers keeper Joel Coleman but dribbled wide from the edge of the box. Wagner's visitors looked hesitant and ripe to be upset at that stage and it took them until the 38th minute to have their first shot on target, Phil Billing drilling his effort straight at home keeper Conrad Logan. But Logan's error would lead to Huddersfield's opener against the run of play five minutes from time, moments after Hudson scooped a fine chance over the bar from Harry Bunn's free-kick. The Rochdale number one mis-kicked his resulting goal-kick and the ball was swiftly delivered back into the Rochdale box where Brown set up Quaner to tuck home a straight-forward opener at the far post. 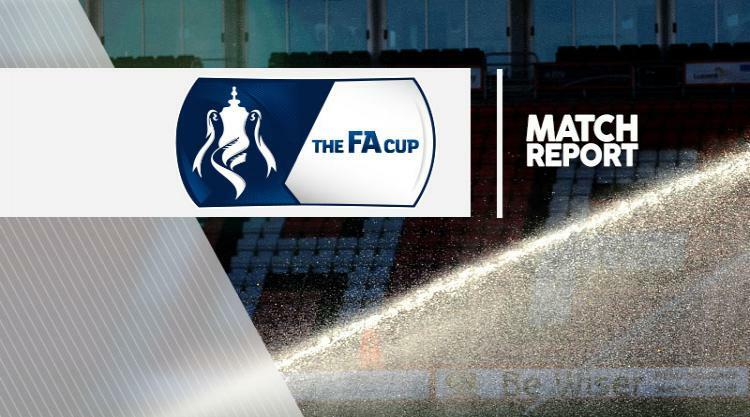 Rochdale showed plenty of effort in the early stages of the second half with little reward as the confident Coleman proved more than a match for the succession of half-chances the hosts could throw at him. And their hopes were effectively over in the 66th minute when Hudson was dragged down in the box and after referee Oliver Langford pointed to the spot, Brown stepped up to send Logan the wrong way. Hefele headed Huddersfield's third six minutes later when he rose above the home rearguard to meet a curling free-kick from the right by fellow substitute Aaron Mooy. Rochdale came close to grabbing a consolation in the 80th minute when Donal McDermott flashed the the ball across the face of goal but Tareiq Holmes-Dennis booted the ball off the line. And Hefele grabbed his second in the 85th minute after Quaner galloped down the right flank and delivered a low ball which his team-mate dispatched past Logan.